Iris is the production version of our most popular test batch from this summer,AX-605. The "A" was for Arke and the "X" was for 10 times the strength ! 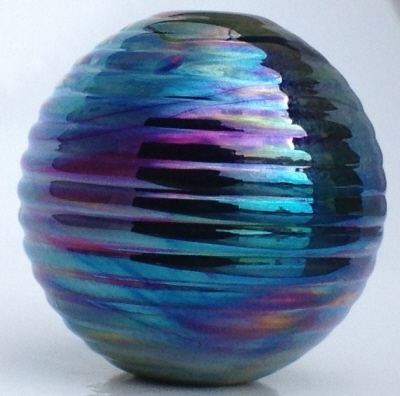 This reduction colour can yield a multicoloured metallic iridescent lustre. In our experience, a brush reduction flame produces the best results.Though designed specifically for exterior applications , the silver portion of the lustre will hold up under encasement.